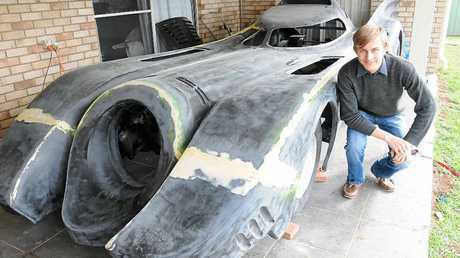 A Toowoomba family is in the process of building a Batmobile. Craig Blackburn and his son Cameron have been building the 1989 model Batmobile from the ground up since coming up with the idea in November last year. Although fighting crime isn't on the cards, dressing up as Batman for kids and charity events is. They plan to get the car registered and are working with an engineer to get it road worthy. The pair who welded two Holden chassis together is in the process of attaching a fibreglass shell. 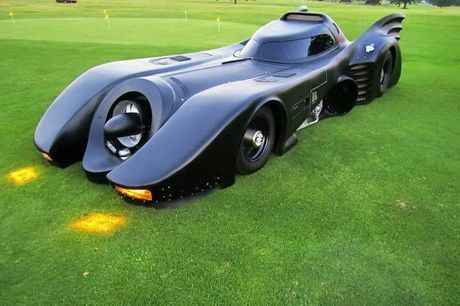 Craig said the idea came about after a photo of a Batmobile caught his eye. "I thought, I can build one of those, it's going to be unique." They are hoping to have the car finished by next year. But building a Batmobile from scratch has been a challenging task. "We're trying to get the shell lined up with the chassis, but it's been a disaster trying to line it up," Craig said. Although it's been time consuming, Craig said building it was also a lot of fun. "We're really excited about it and can't wait to be driving around and showing it off to people." To follow their progress check out their Facebook page at Batmobile QLD.